Casino Heroes – Winter Games! Enjoy heated competitions and hot deposit offers! 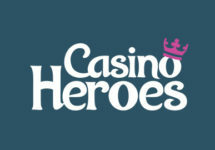 Warm up your winter with daily offers every day in January at Casino Heroes. Compete for cash prizes in Missions, Tournaments and Races, enjoy special offers and giveaways and, most importantly, have fun. Let the Winter Games begin. Take part in a 1-day long quest to complete three missions on Legend of the Wild Snake Lady, Seasons and Winterberries from 10:00 – 23:59 CET on 1st January 2018. Complete them in the fewest possible spins to race into the TO50 for a guaranteed cash prize. Minimum bet is €0.25 or currency equivalent. Only cash bets are eligible, play with bonus money will not be counted. Terms and conditions apply. 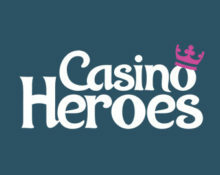 Deposit €10 to instantly receive 20 Free Spins on Crystal Land, a Casino Heroes exclusive slot. Wagering requirement is 40x FS winnings within five days, subject to the Casino Heroes bonus terms and conditions.